By using modern dental technology in a warm and friendly environment we continually improve each patient’s level of dental care. As a best-practice service provider in the community, we strive to provide the utmost care in a beneficial examination for all of our patients. We accomplish this goal by utilizing our modern digital dental office. Technology is an essential part of growing any business, and as a digital dental office, we are using state-of-the-art technology to better the experience of our patients. 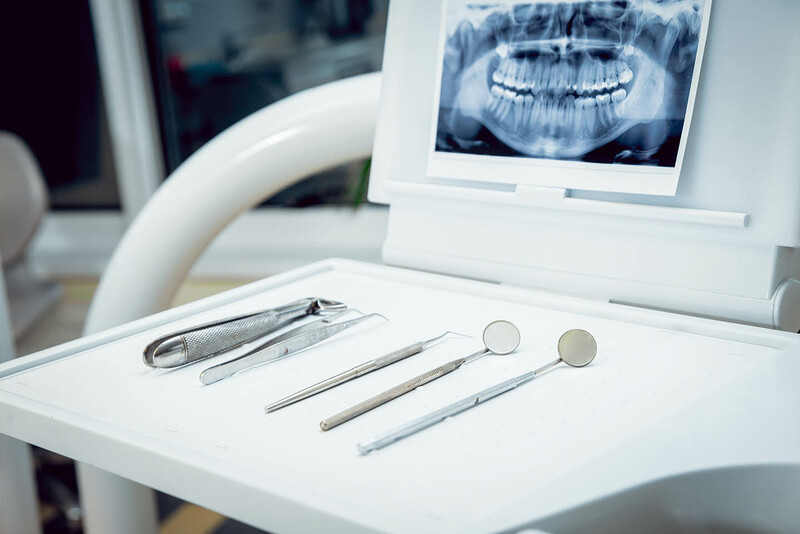 We utilize technology to provide the highest levels of care and comfort and provide various dental services, from aiding in diagnosis to our multi-procedure options. Dr. Naik uses an office asset known as an intraoral camera to take detailed pictures of your mouth. Afterwards, Dr. Naik will display your images on an examination room monitor and explain to each patient the findings and personalized suggestions to aid in your understanding as not only a patient, but an informed partner in treatment planning. Digital Imaging software or wax-ups are also utilized to show your future smile in reality to instil confidence in electing procedures. Educational videos, provided by CASEY Patient services, are also shown to patients in order to optimize a patient’s understanding of all dental services we provide. Today technology is further utilized with the use of digital X-rays. Unlike traditional X-rays, digital X-rays are much safer and provide up to 80% less radiation, without the use of harsh chemicals. Digital images are displayed on examination room monitors while Dr. Priti Naik explains each patient’s dental outlook. In addition to Digital X-rays, our office utilizes a Panorex to provide a complete panoramic, and two dimensional, image of your full oral cavity. Panorex images are detailed to allow for Dr. Naik to optimally diagnose issues providing an advantage in finding problems that are may cause trouble during manual visual exams. All Digital X-rays are sent electronically to insurance companies and needed specialists in order to provide prompt service for our patients. Dr. Naik is keenly aware of the stealthy disease of Oral Cancer is constantly screens patients in order to achieve early diagnosis. Oral Cancer can easily go unnoticed until it has reached the neck or lymph nodes which harm survival chances. Our office utilizes Vizilite which works as a technologic microscope by employing a special mouth wash and light in order to identify suspicious tissue. Dr. Naik and our entire office want to provide the best experience for every patient that walks through our doors. Dental anxiety is a common fear that affects many people. As a staff we strive to provide a comfortable and compassionate atmosphere so as to ease the worries of our patients. Dr. Naik believes in a caring culture and works to have a relaxed and appealing demeanor with a gentle touch, utilizing tools like nitrous oxide, if a patient requires it. Call today to schedule your next personalized appointment with Dr. Naik. We want to have every patient leave our office with an enormous smile and a subsequently happy experience! Our office provides service to residents of Northern Virginia and is the place to go if you’re in search of a Vienna, VA dentist, a McLean dental professional, or a Tyson’s Corner, VA.